Welcome to the original Verwood and TLX Community website. "Over 13 years of community support in Verwood." The society’s forerunner, "The Verwood & District Organ Society" was formed in 1994 after a handful of enthusiasts agreed there would be enough support to form a new society, without adversely affecting four others which existed within a fifteen mile radius of Verwood. A committee was formed and the organist Chris Powell was invited to play the inaugural concert in March 1995. The society grew at a surprising rate & very soon had a capacity membership of 220, with an average 40 names on a waiting list ever since. 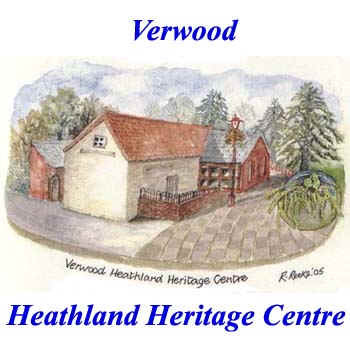 At the 2001 AGM the name was changed to The Verwood Organ & Keyboard Society. With the larger venue there is no longer a waiting list and concerts are now open to the general public - space permitting. The Society prides itself on being a 'Happy Society' that draws it's strength by working together as a friendly Committee - a point that has been noted and commented upon many times by visiting artistes. Synopses of some of the Organists. - usually on the last Wednesday of the month. Colin Ford playing a Yamaha /Roland Hybrid. Tony Whittaker playing a Korg Synthesizer & Kurzwell Piano. Alex Payler playing a Yamaha Electone EL900. Paul Roberts playing a Yamaha HS8. Phil Brown playing a Bohm Diament. Nicholas Martin playing a Technics FA-1. Liz Pipe playing a Yamaha EL900. The following are brief synopses of Organist who have played in the past or are due to play in the future. Please visit their websites if you require more information about them. Coming from a musical family, Tony took up the piano at the tender age of six. Later he trained as a boy chorister whilst continuing his piano studies. In his early twenties Tony formed a seventies cover band which found success in the club and cabaret circuits. He later accompanied star cabaret in a night club residency where he honed his accompanying skills. Not content to stand still, Tony continued his studies to include arranging and advanced technique and has been writing successfully for some years for touring artistes and production shows. No stranger to celebrity events, Tony has worked with some of the biggest names in showbusiness and has toured UK and Germany. As Musical Director of many shows, Tony achievements include: The Stage Showcall Showcase (8 years), Royal Spa Centre, Leamington Spa (17 years) and the BBC 30th Birthday Variety Show (Symphony Hall, Birmingham). Tony's taste in music is extremely varied and is quite at home whether in a backing role or as bandleader with his various groups, playing for a variety of events large or small. Tony is a versatile and talented musician who is lucky enough to be doing the job he really loves - playing music. Why not visit his website at http://www.tonywhittaker.co.uk/ for more information. Alex Payler is one of Europe’s pioneers of his craft. Now 27, he has amazed audiences all over the United Kingdom with his sheer talent and imagination. Alex discovered his gift of music at 7 years old when he had the opportunity to play his school teacher's piano at the back of the classroom. To her amazement he began to work out various melodies without any assistance. Music soon became Alex's biggest motivation in life and this drive was perhaps one of the defining factors that helped him win the title of 'National Keyboard Player Of The Year 1997', being rated the best in the Country took his music from a serious hobby to a full-time professional career. Alex has performed to capacity audiences the length and breadth of the United Kingdom including such prestigious venues as Minster Abbey and London's Royal Festival Hall. Why not visit his website at http://www.alexpayler.com/index1.htmfor more information..
Phil started playing the organ at the age of eleven. After only two years of lessons at the age of thirteen, Phil began performing in public. On leaving school at the age of 16, Phil enrolled on an A-Level Music Foundation Course at South-East Derbyshire College, Heanor, Derbyshire where he remained for 3 years studying music. Highlights of Phil's career have been appearing at the age of 17 with Des O'Connor, playing on the same bill as his idol Klaus Wunderlich, backing such artists as Norman Collier, playing as supporting act every year with the late Joe Loss and his Orchestra, also Syd Lawrence and his Orchestra at the Derby Assembly Rooms, where he has been the resident organist since 1982 playing for both social and tea dances. He has performed as far afield as America, Spain, Channel Islands, Germany and Switzerland. Broadcasting is definitely not a new venture for Phil as he has been regularly featured on BBC Radio 2's programme, The Organist Entertains. When he is not entertaining people with his musical talents he is entertaining guests at home, because his idea of relaxation is cooking a curry for friends - he may be pretty hot on the organ but when it comes to an Indian curry, there is no-one hotter!! Why not visit his website at http://www.philbrownmusic.net/ for more information..
Nicholas Martin's musical career started when he first studied the piano at nine years of age. He began to take a keen interest in the organ shortly afterwards. In 1969 (at the age of five), he overheard the Wurlitzer organ being played in the famous Tower Ballroom. Nick was totally smitten and amazingly, in 1981, he accepted a post as resident organist when he was just 17 years of age! During 1982, Nick was approached by Nigel Turner, who proposed opening a new organ entertainments complex - Turner's, featuring a large Wurlitzer organ. Nick commenced duty at Turner's, as resident Wurlitzer organist, in April 1983, and remained there until its closure in June 2004. In that time he recorded over thirty albums on "Turner's Wurlitzer" as well as Video's and DVD's. In 2004, Nick was offered the role of Musical Director at Wicksteed Park (Kettering, Northants.) where he performs in the Pavilion Theatre, using his Technics G-100 for the various shows. Why not visit his website at http://www.nickmartin.co.uk for more detailed information. Kevin Grunill has rapidly built a fine reputation as one of the UK’s finest keyboard exponents. Such is the extent of his musicianship that he is equally at home on the modern electronic instruments as well as the more traditional pipe organ and piano. At the age of sixteen, Kevin began to take an interest in the sound of the mighty theatre organ and it was a natural musical progression that he should begin to study this type of instrument. Kevin decided to continue his musical education and studied at a performing arts college before furthering his skills at Leeds University where, in 1994, he graduated with a Bachelor of Arts (Hons) Degree in music. One of the highlights in Kevin’s career came in 1997, when he was chosen to be the new resident organist at the North Pier, Blackpool. His duties in Blackpool also see him at the console of the famous Wurlitzer organ in the Tower Ballroom, in addition to his performances at the North Pier. One of Kevin’s main interests is the history and construction of the theatre organ. In 1994, Kevin realised one of his greatest ambitions, when he purchased the 4/10 Compton that once graced Birmingham’s Paramount/Odeon Cinema. Why not visit his website at http://www.organfax.co.uk/players/kevingrunill.html or more information. Elizabeth greets everyone with a smile and is a bubbly, friendly Lancashire lady who has lived on a working dairy farm in Chorley for over 28 years. For many years she has travelled all sides of the UK playing for organ and keyboard clubs and has built up an first class reputation for playing high quality 'live' performances without music. In addition, Elizabeth plays regularly for ballroom sequence dancing. Elizabeth frequently makes time after her performances to shake hands with her audience as they depart home. Elizabeth was originally trained in theatre organ style, and this shows in her playing. She has committed hundreds of pieces of music to her memory and often plays all night without any sheet music. She currently uses an ivory Yamaha EL900i for concert work and a Technics GX7 for dances. Elizabeth also enjoys playing mighty theatre organs and is not afraid to use the instrument to its full potential. Elizabeth style of playing often makes full use of the drawbar sections on various instruments. It is often commented that she has a unique style and has good musical feeling. Elizabeth recently introduced a request spot into her programme and she sometimes plays the entire second half of her performance on audience requests. Why not visit her website at http://www.elizabeth-harrison.com or more information.. Send mail to with any questions or comments. ( Last modified: January 03, 2018). resides with the original copyright owners. DISCLAIMER: While every effort has been made to ensure the accuracy of the data on all 'Verwood.org' sites the owner cannot accept responsibility for any mistakes which may occur. Data provided 'as is' without warranty and subject to error and change without notice. Your use of this website indicates acceptance of this. Please contact the ' ' with updates, suggestions & ideas for improvement, including mistakes found & any other concerns you may have.